The technology was as creepy as we’ve always imagined and happening in the middle of vote counts, seemed totally weird and un-necessary. I believe they said that they used something like 44 HD cameras in a ring to get her every movement, all communicating with the studio cameras as well. 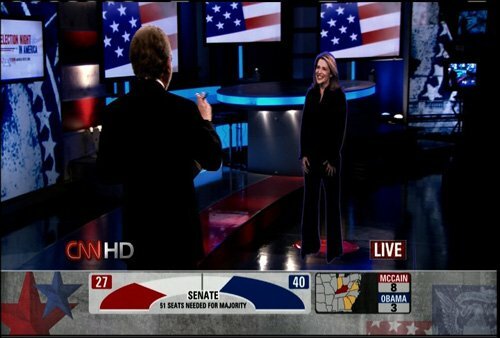 Hey, if we’re gonna have holograms on election night, it’s better her then a grinning Emperor Palpatine.